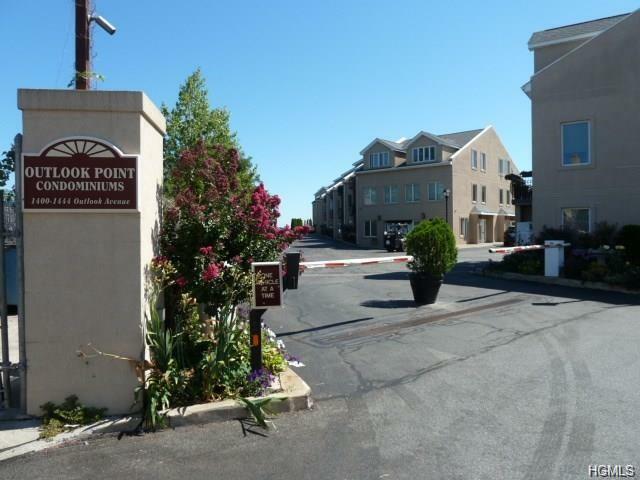 Gorgeous 2 Bedroom Condominium in the Prestigious, Waterfront, Outlook Point Complex within the Country Club Area! Come bring your Kayak and take in the Beautiful Views of the Eastchester Bay! This Gated Community has a Fitness Center and Waterfront Area to Reserve for Parties with your Guests! Conveniently located to Manhattan so hop on a Bus to the Subway or park your Car and let the Express Bus take you to work in the City or to see a Broadway Play! There are Granite Countertops in the Kitchen and Bath, Marble Flooring in the Foyer & Kitchen and Hardwood Floors throughout the rest of the Unit. Check out the New Stainless Steel Appliances and Pretty Backsplash in the Kitchen. This is a Sunny Unit with Skylights and Vaulted Ceilings.Cathedral Ceilings in this unit that are not available in lower level units! There are plenty of closets too! Take in the Magnificent & Peaceful Water Views from every Window & Balcony. Two parking spaces included!Washer and Dryer allowed in the unit!